When you are getting started with your blog, then the first thing that you must keep in mind is great content. Once you have taken care of that, then you can move to other points. But if your content is weak then no theme or design can save you from going down. People can get attracted to your site, if you have some great themes working for you. But as we all know that content is the king and will always remain that way. Therefore when you are trying to attract visitors to your site, then you will have to remind yourself that there is no shortcut to success. If you try to sneak a way out then you will fail miserably. There are bloggers who emphasize more on keywords in order to get to the top of search engine result as it is one way of getting yourself noticed. There are hardly few people who move on to the next page of search engine results to see whether they have anything up there. Almost as many as 90% of viewers restrict their search to the first three or four search results. They do not even bother to go down the first page either, so you cannot expect them to go to the next page. Another thing that you must keep in mind is that never fail to update on a regular basis and try to maintain a routine. So if you are updating thrice a week then maintain it that way always. If you are absent for a week, then you will find yourself out on the followers in no time. In case you are not able to update something interesting then make sure that you make your presence felt by updating comment on any controversial topic. This way you will be in the mind of your readers, even when you haven’t been able to update any blog of late. If they are looking for a tutorial about how to get something installed or how to fix things then they need specific information and the site that offers them step by step process will definitely garner more traffic than all other sites. These types of tutorials are always written in simple language so that people who do not have much technical knowledge can also perform the task by going through the tutorial. Some might ponder that they have been working hard for each content that they are posting, but still it is not working in their favor so where are they lagging! There are more than thousands of blogs that gets posted every day and if you want your name to be popular among this crowd then you have to do more than just write good content. Because now almost everybody has understood the importance of quality content. It is good to interact with other bloggers, as that way you will be able to mark your presence and also you will be able to build relationship with the bloggers with whom you are interacting and with the viewers who are following these blogs regularly. When your comment is witty and has enough substance, then it will be a crowd puller and they will love to know more about you and your body of work. This will instantaneously make the reader connect to you and you can be rest assured that he will be coming back to visit your blog again and this time there is a possibility that he will refer his friends too. Another thing that you must remember is that when you are commenting on any topic then make sure that you do it on some topic that will be relevant to your site also. It will do you no good if you comment on some blog which is related to fashion as this is totally opposite to what you do in your blog section. You will be able to do this if you have more than just one blog. What you have to do is provide a link of the post that is not so popular in another blog which has attracted many viewers. If you don’t have any other blog and has been working hard on the single blog that you have, then it is high time that you create another blog. The audience out there has varied tastes so you cannot confine them into one group. Therefore, it is better that you offer something good for everybody out there. When someone visits your blog and sees the wide range that you are offering them, then it is obvious that they will love it and spread the word on your behalf. Don’t assume that your reader will be sharing your content automatically when they like. No it doesn’t happen that way, if they really like something then it is a possibility that they will share the content. But if the method of sharing is not that easy then you can be sure about one thing that they won’t share. If you serve everything at their doorstep where they can share with just a click or two then the chances of sharing increases. On your part you just have to add a button, clicking on which they will easily be able to share the content that they like with others. So, you need to take that initiative. Make everything available for the viewer’s so that they don’t have to wander around to make things happen. 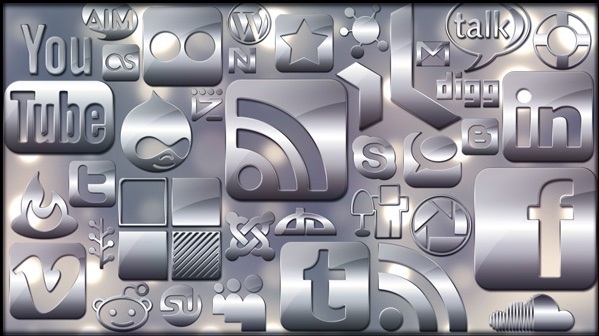 You can use the social networking sites to gain more visitors by adding this simple button. The first thing that attracts the viewers is the headlines. Therefore it becomes all the more important for a blog which is trying to make its mark come up with some great headlines. It is one of the sure shot ways of accruing viewers to your blog. Headlines must be such that will create curiosity amongst the readers and they will be forced to read the whole article. Even when you are sharing the link of your post, then it only has the headline to attract the readers. Therefore, if it is not catchy enough, then you will not be able to draw attention towards your post. If you know some of the experts in your work, then go ahead and interview them. So that you can update their views on your blog sites. We all love to hear what the experts think about certain issues and if you are publishing the interviews, then you are actually dishing out what the audience wants to know and that way it will be easier for you to attract more people towards your blog. Some experts even share their struggle story and let the audience know how they have reached this successful stage making it an interesting read. When you are writing something, then it becomes important that you sometime step back and analyze what you are doing. In a hurry to update something on a regular basis, it might happen that you are losing out on the main objective of your blog. If you are updating old stories and if the look of it is not interesting enough, then you will be losing out on a major traffic. Even when your content is the king you have to present it in that way too, otherwise things which are dull will attract no attention. So it is important that you concentrate on presenting your contents in a good manner as well. In order to achieve this feat you must try and avoid small fonts because when you are reading on screen, it hurts your eyes when you have to read those small fonts for long. Contrast must be attractive, if you are using two different colors for headlines and fonts, then you must make sure that they match well otherwise half the attraction is sacrificed. Sometimes too much color distracts the readers and they might move away even before they complete the full article. Take care of your blog by fixing the bugs and updating the plugins so that the users do not have any problem when they are on your site. You also must take into account that if your blog is too much cluttered, then there is a possibility that the main attraction which is your content will lose out. Instead make space for your content so that it takes it to the center stage. You can look out for new social networking platforms, so that you get the benefit of being there from the very beginning. It is not always bad to be on some platform which has just come up because they will be doing everything possible to get audience for their site and you will also be benefitted from their quest. Never underestimate the capabilities of any social networking sites as people out there are ready to explore new platforms, so it is a possibility that people will appreciate your initiative to take on a new platform. The competition is stiff therefore it is important that you make your presence felt regularly. If there is no activity on your blog for weeks without any notification then the readers will start losing interest, therefore if you are not posting any blog then make sure that you indulge in some other activities. 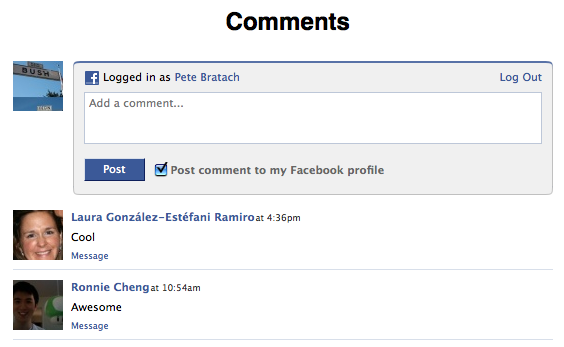 You can go through the topics of others and see what they have updated and read the comments that they have received. If you see that there are number of comments in one blog post then write about it on your blog because it is a great way to keep updated and present your readers with something that they will find interesting. It is all about getting on the radar of popular search engines. You can submit the link of your blog directly to the search engines like Google and yahoo. Mostly they have an option of Submit where you can provide the link of your blog. This is done in order to crawl through the pages and will include your page in the search engine. This method doesn’t ensure that your page will appear on the top of search result, but this way you will take a step towards achieving that position. When you want your readers to stay updated with your blogs then RSS feed will be the best way to do that. It not only keeps your readers updated with your blogs, but also informs them about what to expect out of your blog. 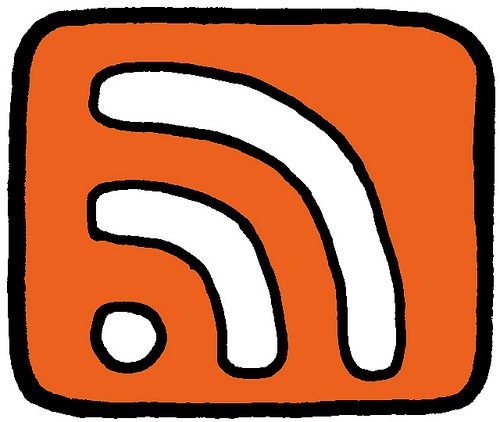 RSS feed button is a must these days in your blogs because this way you will keep your readers well informed about when you are about to come out with new contents. It also helps in enhancing your viewers reading experience. It won’t take much time to tag the blog posts of yours, but it would do wonders for you once you are done with it. You will receive more than the time you invest in it, so take out that time and work on tagging. Once you do that you will see how much traffic it can draw towards your blog posts. Even the search engines take notice of tags more than anything else, so if you are trying to grab the attention of a search engine then it is important that you do the tagging correctly. 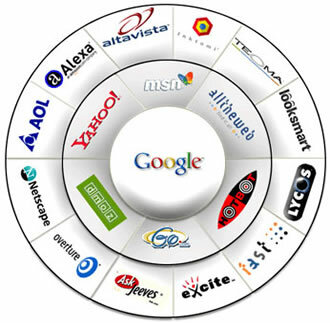 On search engines such as Technorati you will be benefited the most if you keep your blogs tagged properly. It is a proven fact that images convey the message strongly than words do, so how can you post a blog which doesn’t have any images! You will be surprised to know how many people use the image search to get their things. So if you do not post any image on your blog, then you are losing out on that amount of traffic already. When you are naming the images you must also keep the search engine optimization in mind else it won’t be beneficial for you. Do not lose out on any opportunity of highlighting your post be it any possible way. If you can provide your readers with useful newsletter right in their inbox then there are chances that they will share it with other too. So prepare a good informative newsletter that will include some interesting and informative things that will enhance the experience of your readers. If they find it interesting enough then they will share it with their friends and families. The Newsletter is one source of gaining referral traffic so do take this into account as well. If you want to share some information that includes numbers as well then it is better that you do it in Infographics style. It surely attracts traffic towards it and it is one way of content marketing. Through infographics you can let your viewers know how your business is doing and be transparent. The numbers can be presented in well-structured way, so that the viewer’s get the information correctly without any ambiguity. You can also make use of YouTube. It is the largest platform to get new traffic to your posts and is also one of the biggest search engines; therefore making your presence felt in there will help you attract many viewers in there. If you are using YouTube channel, then it will gather more traffic for the video posted there. You will also be able to list your link which will help the viewers to visit the link and get more informative blogs. If you are writing as a guest blogger in other site then you are getting a chance to open up to a new audience altogether. If they like what you have written then there is a possibility that they will visit your site to go through your blogs too. It is a great way to create perceived authority. Guest blogging will highlight your talent because if you are not a good blogger then other bloggers will not invite you over to write something for their blogs. They will be able to access your readers and you will be able to portray your talent to their audience and this way both of you will be benefitted. If you have promised something to your viewer then try to deliver more than what you have promised. It is important to pamper your readers from time to time, so that they feel important. When your users will get more than they expected then it will automatically impress them and increase your goodwill too. In this competitive market, your goodwill can prove to be the key to your success. Once you are done with your content you must go through it again and verify whether you have highlighted all the high point of your content. Number it, use bullet points or bold the points that are important and see whether your viewers are getting the gist of your content. If you think you have left out on something, then add it over and highlight them. The main thing is to make your viewers get the idea of your content. So make sure to highlight the main points to put across your thoughts to them. When you are trying to dish out something to your viewer then it is important that you research well. Know what your viewers want to read and then provide them with that information. This way it will be easier for you to gain the audience confidence and they will keep coming back to your site as they know that you will offer them exactly what they want. In order to get the topics of relevance you can go on twitter to see what is trending so that you can deliver the best. There is no shame to promote your own self. Don’t forget to add social widgets, but also post about your blog. You can update about your blogs on the social media account that you are actively part of. The more word you spread about your existence the better opportunity you have about getting more and more traffic. You can ask your friends and families to drop in your site and if they like it, then spread the word of mouth to their respective friends so that you get better traffic with each passing day. If you are trying to win over good traffic, then you can take it to launching of products or some services that will be helpful for your readers. You can give your views about the product and also incorporate interviews of big names in the industry, making your post open up to a whole new reader. The companies will also link to your site if they find the information provided by you is good, so it will give you another scope to open up to the large number of viewership. Through comments you will understand how the readers are reacting to your blog posts, so it is important that you incorporate an easy process to comment. If you ask the readers to register first to comment then you might be losing out on some really good comments. Make sure you keep the simple process to update comments, so that you get more views about what the readers are thinking about you. It will keep the interest of your readers up to date and then they will keep following you to get good articles. When you write something interesting then people would love to know more on that and that way you can keep writing a series on the same topic which will enable you to pull in a large crowd towards your blog. These are some of the techniques that you can incorporate in order to make the readers visit your site again and again. So try and incorporate at least one or two steps by tomorrow if you haven’t done it yet then you will see how it can affect the traffic of your blog in a positive way.